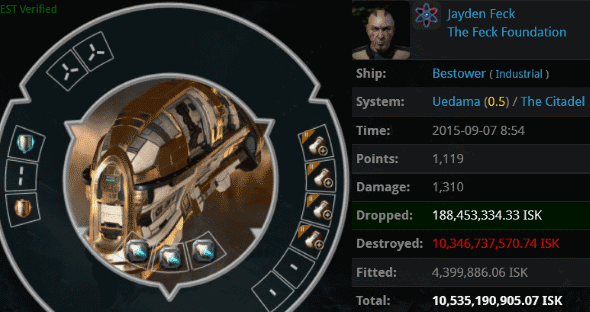 Ten million isk and some common decency. It's not asking much, but you wouldn't know it by some of the killmails we've been seeing lately. Here's your weekly dose of sunshine, for the week of September 6th @ 00:00 EVEtime through September 12th @ 23:59 EVEtime. Jayden Feck wanted to save himself some money, so he didn't bother buying a proper hauling ship, or even a few decent tank modules. Jayden had so little money that he couldn't afford a full anti-tank fit. And then Agent loyalanon dropped by and generated a 10.5 billion isk killmail. Something was very wrong here. Remember when we were scandalized by shuttles carrying a single PLEX? These carebears keep topping themselves. You can read more about this kill on TheMittani.com. 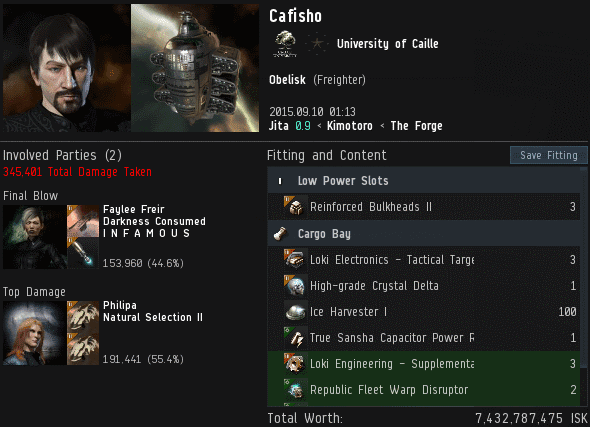 Cafisho tanked up and set off for Jita in his freighter. But he soon learned a lesson about hyperdunking from Agents Philipa and Faylee Freir. Carebears cry out for a nerf to hyperdunking, but it's a tactic that's incredibly easy to counter. For a hyperdunk to be successful, Anti-Gankers need to fail even more than usual, and the target needs to be completely incompetent. Thus, hyperdunking is an appropriate punishment for the severest acts of bot-aspirancy. Cafisho was carrying 100 Ice Harvesters--and no permits. 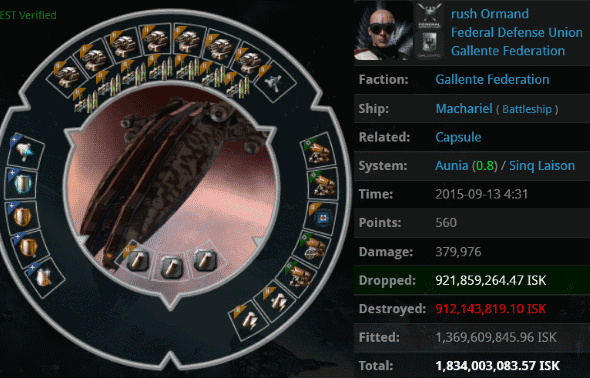 rush Ormand brought a 1.8 billion isk Machariel to do a little PvE in the Aunia system. At the same time, Agent Big Gradner Painhaus was puttering around in a humble Enyo, taking care of some unlicensed Mobile Tractor Units. The carebear in the faction battleship thought he could easily defeat the puny assault frigate, so he tried his hand at a bit of PvP. A carebear with a combat ship is dangerous--mostly to himself. The Enyo won the battle, with a little help from an NPC. 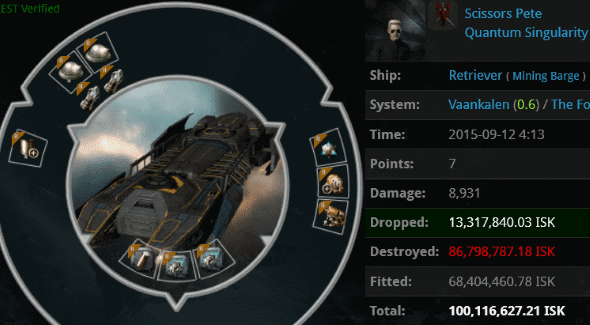 The Machariel pilot was so stunned by his defeat that he didn't warp out in time to save his 3.8 billion isk pod. 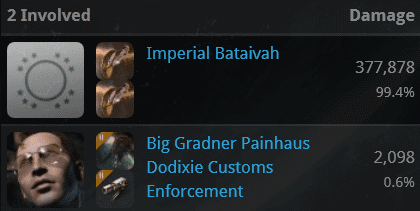 Let's take a short break from all of these ludicrously expensive killmails to highlight the crimes of the poor. Icek Kado brought one of the worst-fit Retrievers imaginable into an ice anomaly in Kino. Unsurprisingly, he attracted the attention of Agent Spine Ripper. Icek's load of ice was actually worth more than all his fittings combined. On the other end of the spectrum, Scissors Pete made the mistake of buying equipment for his Retriever that was too expensive. No ORE Strip Miners here, just some really head-scratching fitting choices. Agent Ilithyia Borgia wasn't interested in an explanation, only justice. 0000000000ZERO0000000000 > Code is good at ganking, because ganking is only a front for what they do. Jake Market > Null would dry up pretty quickly if the JFs stopped moving. Yes, everyone's favorite freighter pilot was at it again. Even the Haulers channel crowd couldn't defend this sort of madness. 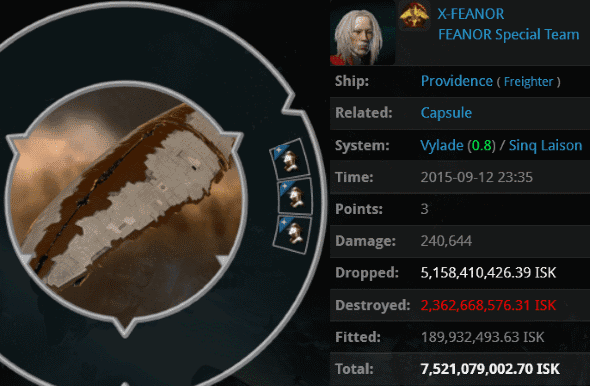 X-FEANOR did what he unfortunately does best, and got himself ganked in a blingy freighter, again, a short time after losing his last blingy freighter. Combined forces of the New Order and the Ministry of Love brought in a massive fleet of Taloses. Ricki Lake Show, Siegfried Dragon-Blooded Knight, Oryae Veris, Yojiro, Jason Kusion, Karmafleet Is Recruiting, Sasha Cohenberg, Gilles de Rais, Jack Fizzleblade, Tamamo no Mae, Lust the Lascivious, Michael the Archangel, Keraina Talie-Kuo, BoneyTooth Thompkins ISK-Chip, Vlad III Tepes, Diarmuid O' Duibhne, Gaara's sniper, holdmybeer, Wrath the Furious, Dark Sn1p3r, Seeker of Vengeance, Cantstop Wontstop, Angel Logisticus, Nikonor Drishenko, Letifer Ostus, Ebony Sniper, rackarns, Gerovit, Hassan- i Sabbah, Jeanne D' Arc, Pride the Arrogant, Gilgamesh the King, jet crash, Chocolate Mooses, Gulstrimmig Innekatt, Samsa, Greed the Avaricious, Mark Eting, Krominal, Gluttony the Voracious, Sloth the Indolent, and Envy the Jealous all jumped in on this. Overkill, sure, but who wouldn't want to be on an X-FEANOR killmail? But there was one more shoe left to drop. 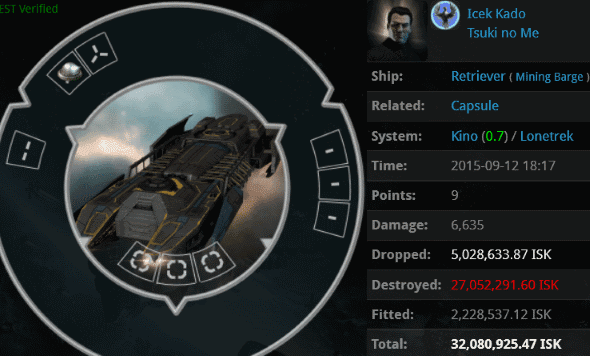 Hint: It's not for no reason that the previously mentioned Machariel pilot's 3.8 billion isk pod wasn't the Pod of the Week. 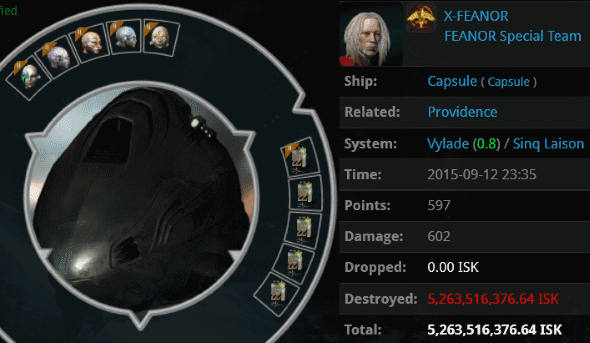 Agent Globby inflicted an additional 5.2 billion isk loss on X-FEANOR by employing a tactic near and dear to my heart--using smartbombs to guarantee a pod kill in highsec. Agent Chocolate Mooses snapped a photo of X-FEANOR's "warp of shame" after the arch-carebear undocked in a rookie ship and left the system. I am filled with compassion for X-FEANOR. His road to Code-compliance will be a long and difficult one. Keep your blasters loaded. CODE compliance is a beautiful thing. Maybe one day these sinners will see that. Just like all the faggots will be going to hell? Miner, calm down. Marriage, just like the Code, is about love. You don't have to get all upset just because two gay people can get married. Although persecuting gays for the ability to get married certainly fits what we know about the miner condition. They're the only ones who still use the "f" word when referring to gay people. Hilarious parade of woe and misery, Saviour! The sabbath is actually on Saturday, not Sunday. It was changed by the Roman Catholic Church as the mark of their authority to change God's word...which they have. Nobody has the authority to change God's word except for God himself. Galaxy Pig was referring to the Sabbath of James 315 through which he reveals unto us the Kills of the Week. Carebears usually honor this by remaining silent for a long time; sometimes an entire day. we can't all be compliant how boring would that be? That X-Feanor dude has some issues... He needs to learn about Red Frog. I'm not sure what to think about that guy. He seems to be...I dunno...uncaring about what happens in the game. James, I think you need X-FEANOR and JTClone_Ares tags for your posts. You know, since those two show up so often. meh, looks like another failed RMT. Jamey/Mittens needs to find a new gig.